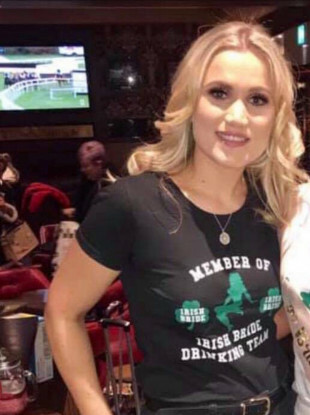 Ruth Maguire (30), from Newcastle, Co Down, had last been seen close to midnight on Saturday night in the county Louth village. Searches began yesterday and resumed again this morning to try to find Ruth. Among the groups involved in the search were Irish Coastguard Rescue helicopter, the Mourne Mountain Rescue who are searching scrubland, Bangor Coastguard with their specially trained search dog and Belfast coastguard as well as Dundalk sub-aqua search and rescue. The Garda Under Water unit was also requested to attend the scene. In a statement, gardaí said the body of a woman had been discovered in the water at Carlingford Lough this afternoon. Searches have now been stood down, and gardaí thanked the public, volunteers and the Coast Guard for its assistance in this case. Email “Body found in search for missing mother-of-three in Louth”. Feedback on “Body found in search for missing mother-of-three in Louth”.